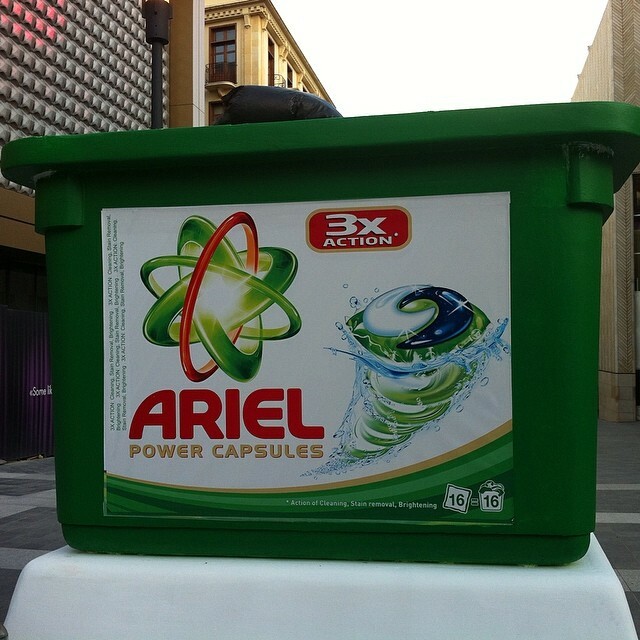 Ariel 3 in 1 Pods! 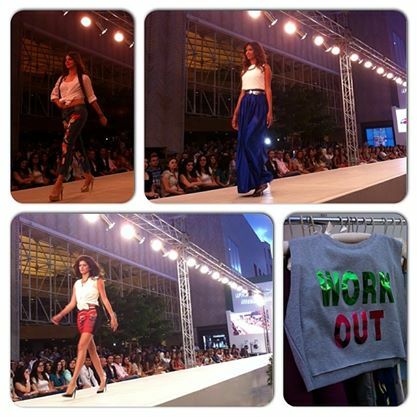 I was invited a while ago, to the “When Fabric Care Meets Fashion” fashion show in Beirut Souks. The fashion show featured Antoine Al Kareh’s latest fashion amongst Lebanese upcoming talented designers. During the spectacular exhibition & fashion show, Ariel unveiled its latest breakthrough innovation “Ariel PODs”, the most technologically advanced 3 compartments POD in the world that provides best cleaning results while taking care of fabric. After the fashion show, and hearing so much about the product, I had to try it at home. I couldn’t believe it was so easy to use, you just open the washing machine, throw an Ariel pod, then your clothes and that’s it! Your clothes will be clean, smell nice and the fabric is soft! The three-chamber unit dose design allows the unique chemistry matrix to work synergistically in the wash for excellent result. The pods use a new film that dissolves completely in the wash, even in cold water. Innovative, easy-to-use tub packaging ensures that no “leftover” detergent is stuck at the bottom. Ariel PODs, is the most technologically advanced laundry detergent, which provides 3x cleaning power through removing stains, cleaning, and brightening clothes. So simply Ariel PODs brings all the power and convenience that you expect together in one product which provides superior cleaning and superior comfort. If you haven’t try the Ariel PODs yet, you DEFINITELY should! Zenotel in Bhersaf is one of the Middle East’s first wellness retreat and spa treated from geomagnetic interferences. It transmits and creates amazing serenity, and offers a holistic approach to wellness with body therapies, nutritional detox programs and energy re-balancing. Zenotel advocates locavorism. We believe in enriching locals’ lives and tapping into the goodness that the community has to offer. Not only do we encourage local tourism, but also engage with locals to source ingredients, mostly from organic suppliers. This 26-bedroom wellness retreat is set on open grounds, complete with lush landscaping and private garden, enjoying uninterrupted views from Beirut to Jounieh Bay. For wholesome goodness and balance nutrition, enjoy meals and drinks at the Earth Restaurant, the outdoor Zen Café, and the Pomegranate Bar. The spa comprises a steam, sauna and two treatment rooms, an indoor counter-current basin and outdoor pool with saline water, benefiting smoother skin and avoiding body chlorine intake. The serenity room and surrounding space is ideal for yoga, corporate and wellness retreats and workshops. 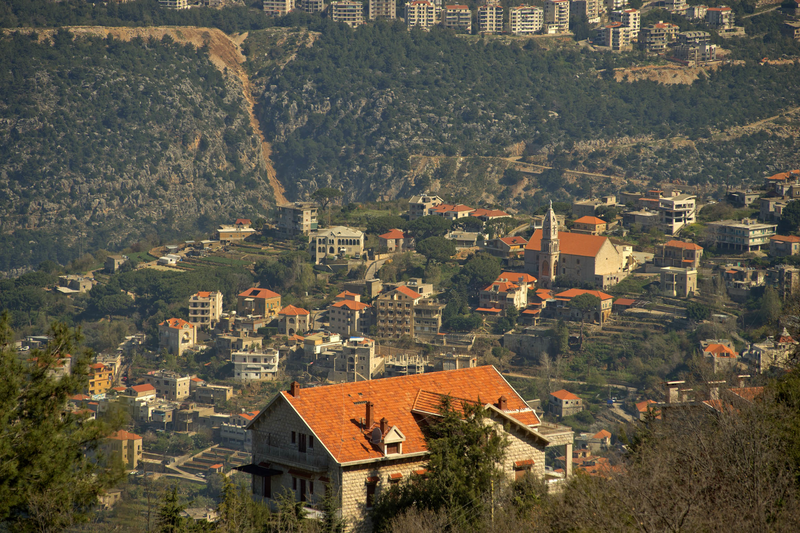 Zenotel is 24 km away from Beirut, in Bhersaf, Metn, and rises 900 m above sea level. Nestled between Brummana and Bekfaya, it is naturally inspiring with its invigorating climate, lush greenery, pine and linden trees. For more information and details about Zenotel, visit their www.zenotel.me and follow them on Facebook and Instagram. You can also contact them on the following numbers 04 984 281/2 or send an email to info@zenotel.me. Best Hair in World Football Story? Here’s a list of the 13 most iconic hairstyles in world football featuring the best and worst styles that David Beckham, Sergio Ramos and Andrea Pirlo have rocked in recent years. 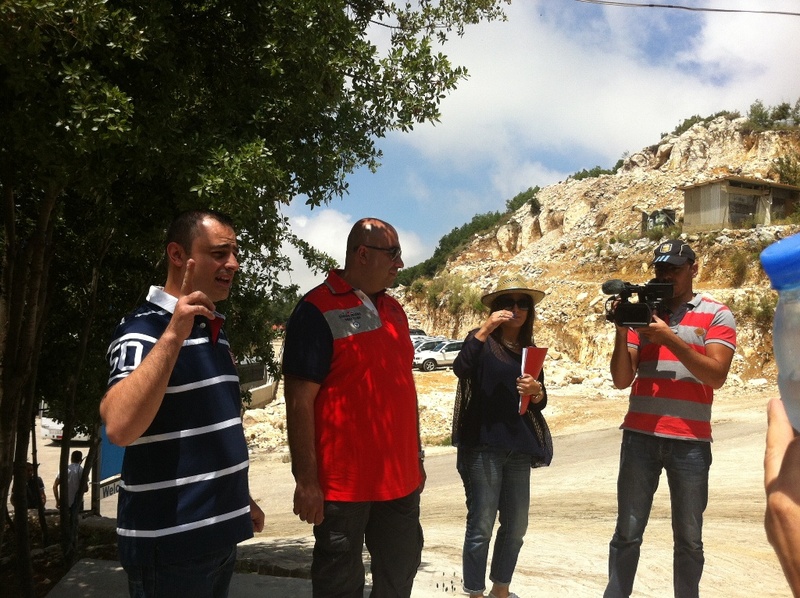 I was invited on Sunday with my family and other bloggers/media to discover the Dairy Khoury goat farm in Mechmech. It was a nice road trip, discovering a new area in Lebanon. 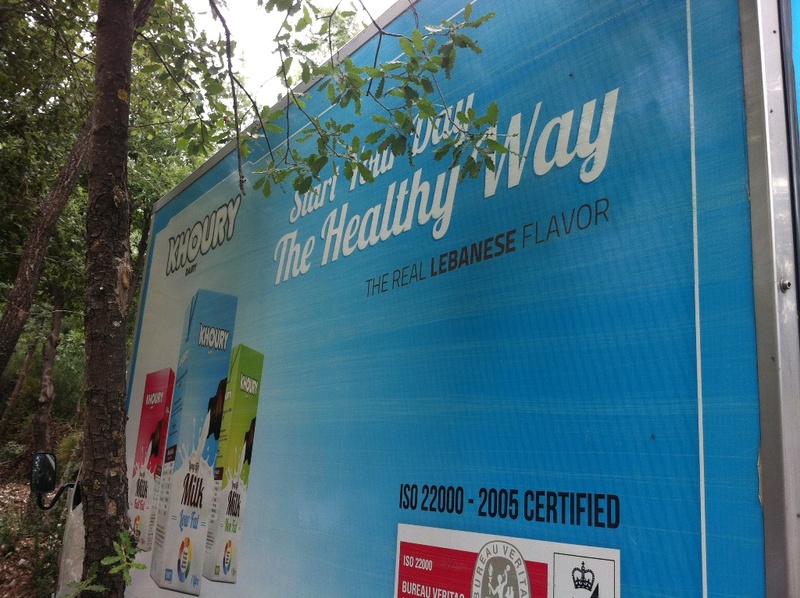 We passed by Jbeil, then Annaya until we reached Mechmech. We were well welcomed, took a small break and started our visit. We saw the small goats, then the females and the males. Each category is placed in a different area. We saw how they feed the new-born goats, we also had a demonstration of an echo to a pregnant goat, to check that everything is going well during her pregnancy. After the interesting tour of the farm and getting to know more stuff about goats and farming, it was time to relax and enjoy the nature. We had lunch in the middle of nowhere, surrounded by green trees, and enjoyed the activities prepared for the day. There was a very talented saxophonists, playing lovely music, then he was followed by a band playing Arabic songs. Meanwhile, kids were enjoying their time in nature swinging, they were amazed by a magician show, and they could also do horseback riding. It’s time to turn that alarm off and after several snooze buttons, you will be racing time to get to work on time! After washing your face and applying your day cream, with your fingers apply a dot of concealer under each eye and dab it quickly. My daily concealer is the “Lift Concealer” from Make Up For Ever (#3). Then apply a hint of powder with the special sponge all over your face and neck. My new powder foundation is the “Everlasting Compact Foundation” from Clarins (#108 Sand). Then dust the entire lid with the one color eye shadow, a thin layer of course to keep it simple. I used today the “Mono Couleur sweet lilac” from Clarins. And just under the eyebrows I added a touch of light using the light corner of the “Prisme Powder Blush” by Givenchy. Then I drew a line on my upper eyelid, it doesn’t have to be covering all your eyelid, it can be just from the outer corner to the center. I used today the “Dark Blue Duo-Chrome” by Bourjois. Add attention to your eyes with bit of mascara. I applied quickly the “Miss Manga” by L’Oreal. Then I added a touch of the purple “Smoky Lash mascara” from Make Up For Ever on the sides only to add light. You don’t need to have these two steps, you can just apply one of them. A quick hint of blush. I used today the “Lilas D’Or Blush” from Bourjois. And finally I applied the “Hawaiian Coral Joli Rouge long wearing lipstick” (#706) by Clarins. 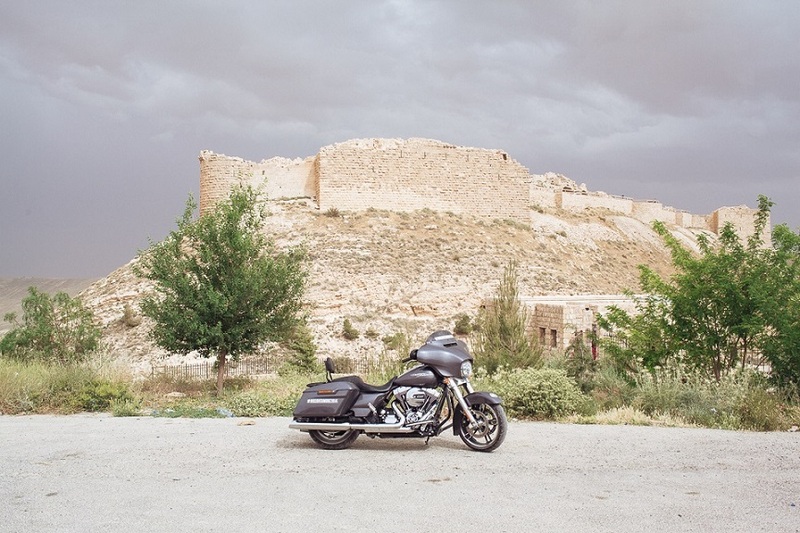 One Harley-Davidson® Street Glide® motorcycle took to the spectacular roads of the Middle East during the last week of May to kick-off Discover More, an iconic touring ride experience launched by Harley-Davidson that will see the bike complete a 20,000 km tour across more than 30 countries. The Discover More Street Glide was taken on a journey of discovery by a series of passionate riders throughout the Middle East, and starting in Jordan, included epic ride experiences through the twisty roads of Mount Nebo and Panorama, the Dead Sea, the desert tracks of Wadi Rum and the stunning sights of the Rose City, Petra. The tour then headed to Egypt and gave Discover More riders the chance to capture the country’s wealth of history, as it made its way through Nuweiba, Sharm El Sheikh, Ras Sedur, Suez, Cairo and the famous Pyramids of Giza. Discover More is enlisting the service of over 50 specially selected riders to take the bike across Europe, Middle East and North Africa, which include social media fans, celebrities, journalists and influential touring riders. The bike now heads over to Southern Europe and beyond before arriving at European Bike Week, Austria on the 6th September 2014. The first rider to take Discover More to the roads was renowned chef and riding enthusiast Claude Abry, who combines his passion for cooking and good food with his love of motorcycle touring. 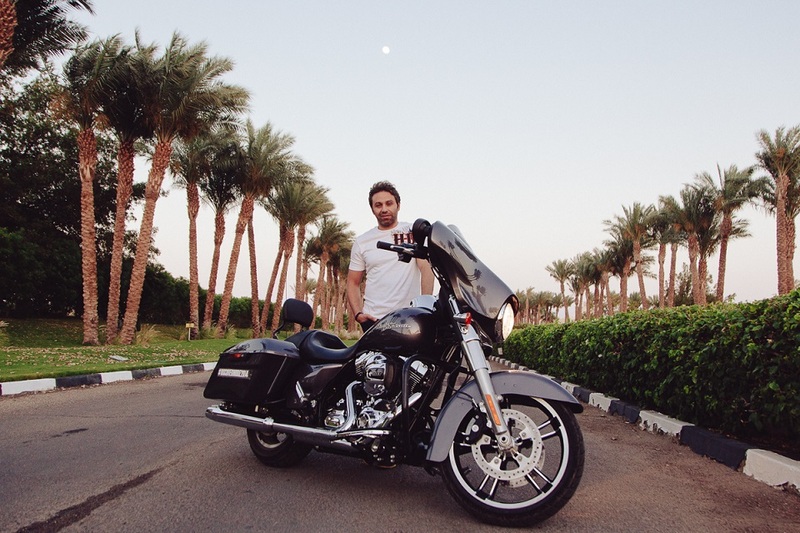 In Egypt, the Discover More Bike was ridden by football celebrity Hazem Emam, who recorded his own Harley-Davidson touring story. The moments of emotion, adventure and discovery of the whole tour are currently being captured through social media and the Discover More website (http://bit.ly/discoverharley) by Harley-Davidson’s roving content and production team as fans across the globe tune into the real-time updates, photos and videos from the ride. For the baptism lunch, my sister and brother and law had chosen a special and dear place for them, the “Steigenberger Strandhotel” in Zingst. Zingst is a touristic city in Germany, on the shore of the Baltic sea. Tourists visit it during summer to enjoy the sandy beach where you can find a lot of surfers and surfing schools! The 18 km-long wonderful sandy beach with its virtually untouched landscape and healing climate of the Fischland- Darß-Zingst Peninsula make it one of the most beautiful destinations at the Baltic Sea. 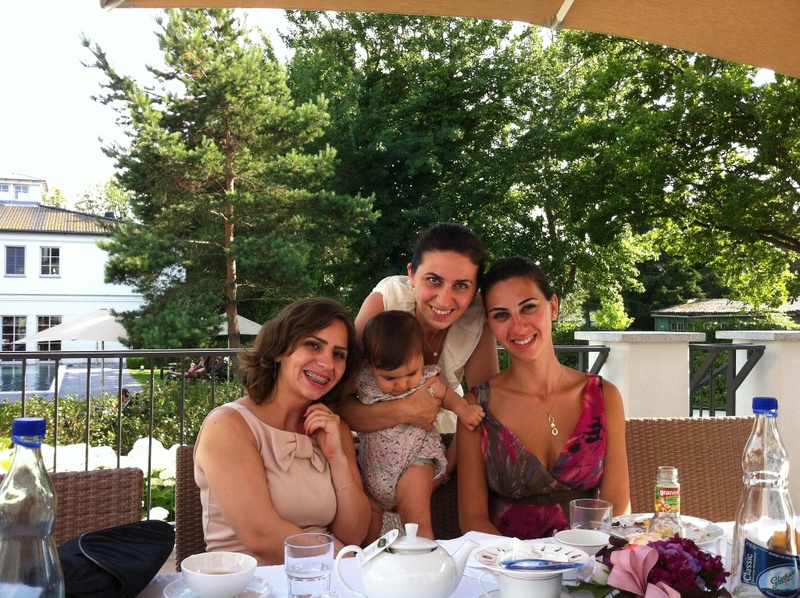 The baptism was on a hot sunny Sunday, after the church ceremony, we headed to “Steigenberger Strandhotel”. The welcome drinks were on the terrace, waiting for everyone to be there, then we moved inside to their fancy “Nautica” restaurant, where we enjoyed a large selection of culinary delights. Market-fresh products from the region inspire their chef de cuisine at the “Nautica” restaurant every day to offer exquisite creations. After lunch, everyone took a break to enjoy the lovely weather outside, relaxing by the pool or having a walk on the lovely sandy beach. It is only a few minutes on foot from the hotel to the fine sandy beach or to the picturesque center of the town. Then it was desert time, we enjoyed a wide selection of delicious cakes, croissants and drinks. 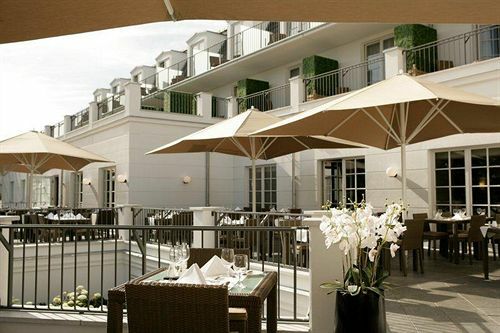 If you’re planning to visit Zingst during your summer vacation, “Steigenberger Strandhotel” is a place that you have to pass by, with family or friends, and enjoy a relaxing time. 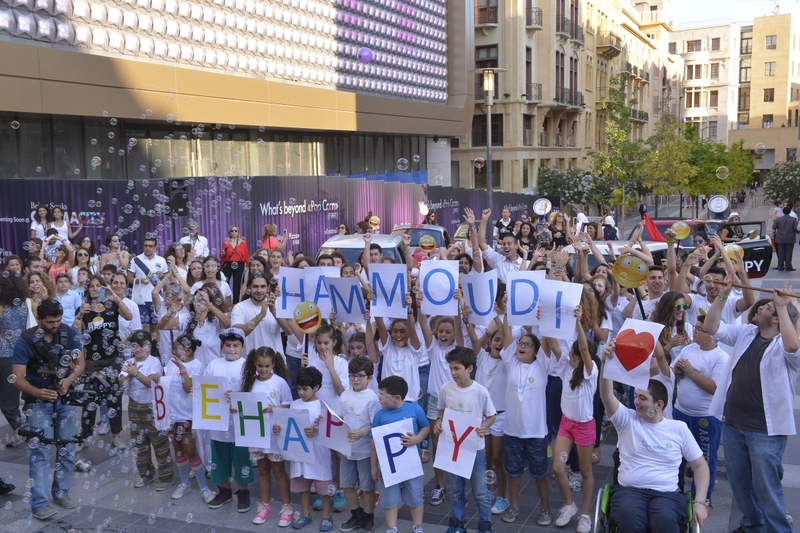 Watched by hundreds of spectators, Tamanna and MINI last Sunday (June 15th) turned Beirut Souks into a “Happy” flash mob to turn tears into laughter for Hammoudi, an 11-year-old boy suffering from an autoimmune disorder. MINI team behind the wheel and friends in the passenger seat, the MINI doors were wide open to the “Happy” song by Pharell Williams. 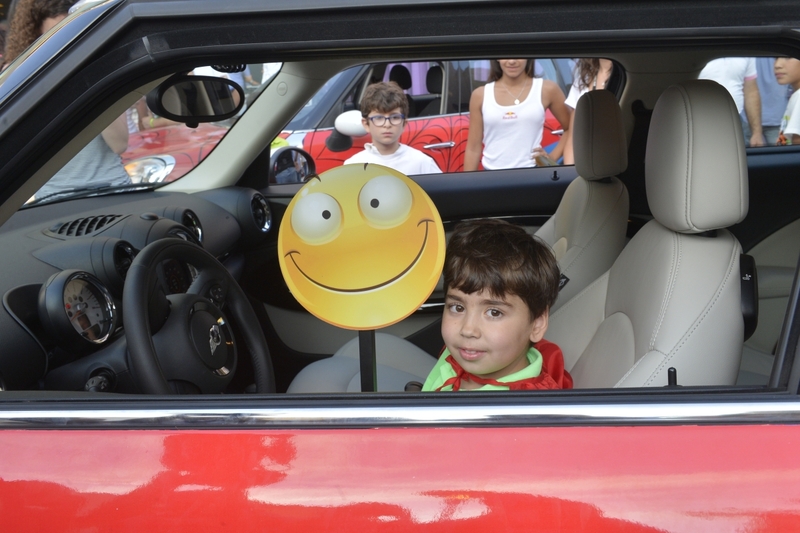 Two of the six MINI cars were dressed as Hammoudi’s favorite superhero characters: Superman and Spiderman and the remaining MINI’s were branded with happy faces to help bring some excitement, strength and hope to Hammoudi life. Bubble machines were also used to extend the happy mood in addition to smiley face masks all around the set. Also participating in this magical moment were the dancers from Stun and their choreographer Lyne Ghandour, Live Love Beirut, Solidere and Red Bull. 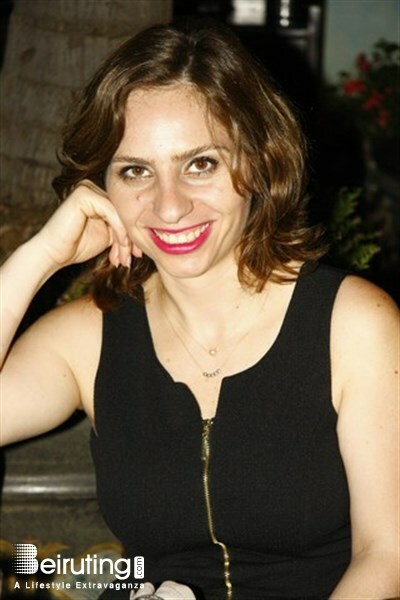 As an active member of the Lebanese society and an avid supporter of local charities, Bassoul-Heneine regularly works with organizations to raise awareness for worthy social causes. In this instance MINI yet again revealed that it is not only a fun car that makes people smile, but it is also committed to being an active member of the community who can be counted on to support good causes. Witnessing the tears of joy from Hammoudi’s parents, Soraya Barbir, Executive Director of Tamanna Lebanon added: “Partnering with MINI was an extremely positive step towards turning this experience into a memorable one. I can’t describe the happiness expressed by Hammoudi and his parents. Tamanna grants the wishes of children suffering from critical illness. A wish granted brings a little sunshine into lives dominated by pain, providing an escape from reality, lifting the spirits of the child and his family. Why every woman should have a small wallet? So I went searching for a small wallet and I found mine at Aizarani in Jdeideh. Here are my thoughts about why you should own one! No matter how small the bag, the small wallet will fit easily and you won’t worry about forgetting any of your valuables at home. You can also add it in your big, every day bags, and don’t worry about loosing it between all your stuff, you can grab it easily! You can put your cash money in the inside pocket, and you can put the receipts that you get when paying with your card in the pocket from the left side. I still didn’t decide how to use the back side of it. What do you think I should put there? 3- Payments will become easier! Your wallet is already organized, you just take it out of your bag, pick the card or take out the cash and pay. No more searching for your huge wallet, opening it, searching in it for cash between the zillion papers you gathered from ages ago, or wait where is my card moments?! Plus it comes in multiple colors: red, beige, brown… and at a very affordable price! Do you have a small wallet? Do you advise on owning one? FIVE Things I’ve Learned From My FIVE Years Of Blogging! 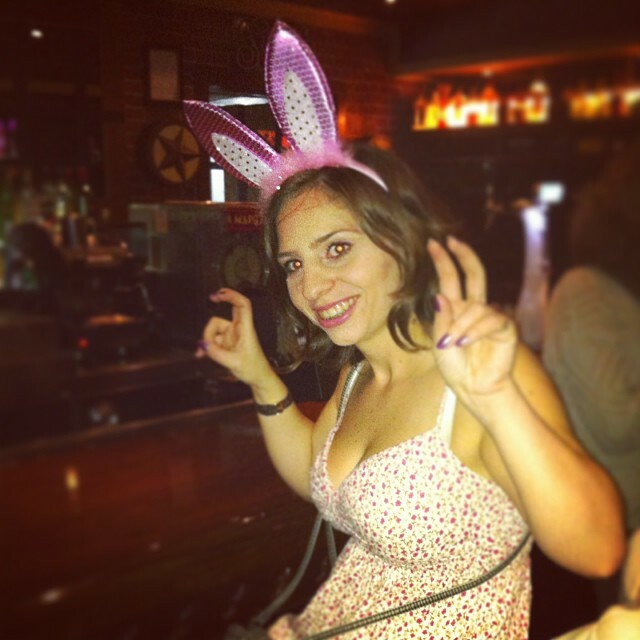 Votre blog fête ses 5 ans aujourd’hui ! I smiled and remembered the first day when I hit the button “Creer Votre Blog”. Back then, I had no idea what a blog is, which platform to choose, how much effort it needed, how to sculpt it, create a fan base, get new ideas… I was clueless! I remembered how my friend M. was there for me, encouraging me to write and always interacting with me. I remembered the awesome tweeps, who stood by me, helped me when I had a question, favorited and RTed my posts. I remembered that sometimes, I got ideas block and questioned myself if I should stop blogging. But you, my dear readers, were my strength, you gave me hope, courage and confidence! Each time I’m on the streets and someone stops me asking me if I’m Le Blog De Chanty, it gives me pride, and it assures me that I shouldn’t stop Blogging! Here are 5 things that I have learned from my journey till today! 1- Don’t worry about Blogger’s Block! You will pass by days, you feel your head is empty, you have nothing to talk about, you have nothing new to share with your readers. IT’S NORMAL! Any blogger goes through this phase during his blogging life. Don’t panic! If you don’t feel like writing for a while, don’t! Take some time off, relax your brain, your thoughts and when ever you feel ready to get back to writing, you’ll discover a garden full of ideas! 2- Don’t say “YES” to just any brand! When you start taking blogging more seriously, you’ll be amazed how brands will jump to get their hands on you. Especially now in Lebanon, that bloggers are starting to have a voice and brands are starting to be more aware of that. Brands like us and we like them too, but not just any brand! When you have reached a phase and you created an identity to your blog, some brands don’t fit in it and if you include them, you’ll be ruining your blog’s theme! Be wise, build your own identity with time. It’s not easy, it might take a lot of time for you to really know what you really want to focus on, but you’ll get there. And when you do, stick to it! Socializing is a crucial element in your blogging life. You exist, behind your platform, your blog’s name, Facebook page, twitter account, Instagram filters… But people still want to know who you really are. 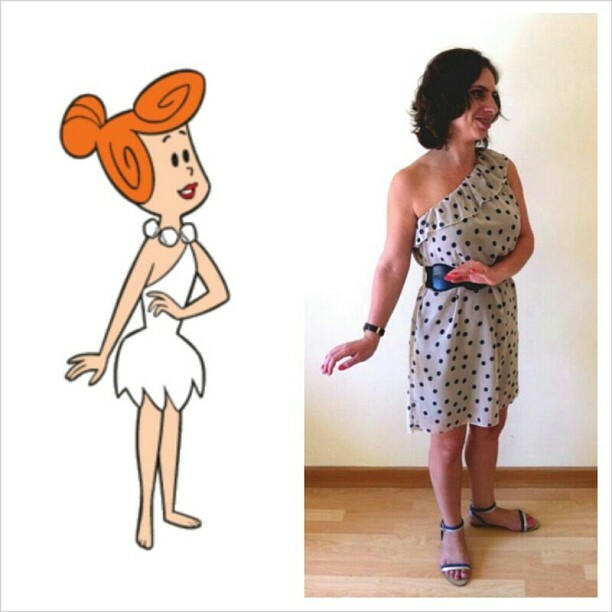 They want to see how this person giving all those tips and tricks, looks like in real life. This will bring you closer to your readers, you will start having deeper relationships with them, they will become your family. They will ask for things, and you will blog about them. Not also you will keep a link with the exiting fan base, you will meet new people and your niche will grow stronger! The purpose of socialization is to make your blog more open and attract the largest amount of readers possible. 4- Be there for others! From the Oysho Yoga event! I believe that Life is a give and take relationship. Be inspired and be inspiring. I remember a lot of times when I had confusions, I used to asked other fellow tweeps / bloggers and we shared a lot together. This is how people grow! 5- Keep in mind your “Readers”! Readers are the reason of your existence, that’s why you should always listen to what they tell you, and suggest to you! Your posts should be dedicated to them, provide them with good quality, helpful posts. Reduce the text and include more visuals to keep them attracted! In other words, if you don’t feed their appetite, they will stop coming back to you! I hope my tips will be helpful to all the new bloggers, an I’m looking forward to know more about the blogosphere and will do my best to keep coming with attractive, and fashionable content. You can show your love to Le Blog De Chanty on Facebook, Twitter and Instagram!